A properly lit cigar is important because it means all the components (wrapper, binder and filler) will be evenly lit, thus imparting the flavors of the blend as the maker intended them to be experienced. Additionally, you won’t be fighting an uneven burn while you’re smoking, which can add hassle to a time that should be relaxing. 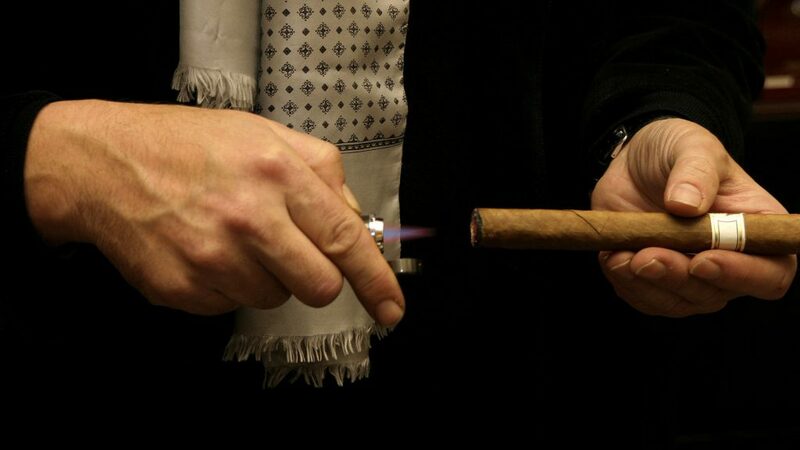 Remember, it’s better to avoid lighting a cigar with a flame from a source that will alter the essence of your cigar. Examples include a candle, Zippo and oil-fueled lighters, and standard sulfur matches. These lighting implements can add odd flavors to your smoke. If a cedar spill isn’t available, we suggest getting extra-long, wooden matches that are sulfurless. If you can’t find them and must use regular, short matches, be prepared to use a number of them. Be sure to let the sulfur burn off before starting the lighting process and try lighting two at a time, so you get a broader flame. If you’re only option is a Zippo or oil-based lighter, let the flame burn for a moment before lighting your cigar.